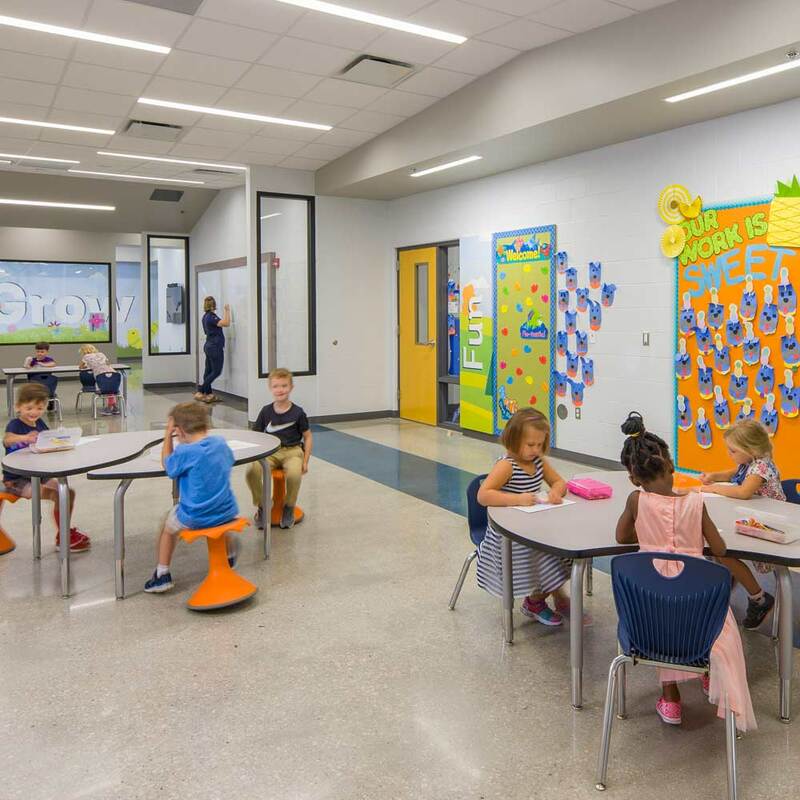 The walls come alive to inspire young learners at this new school. 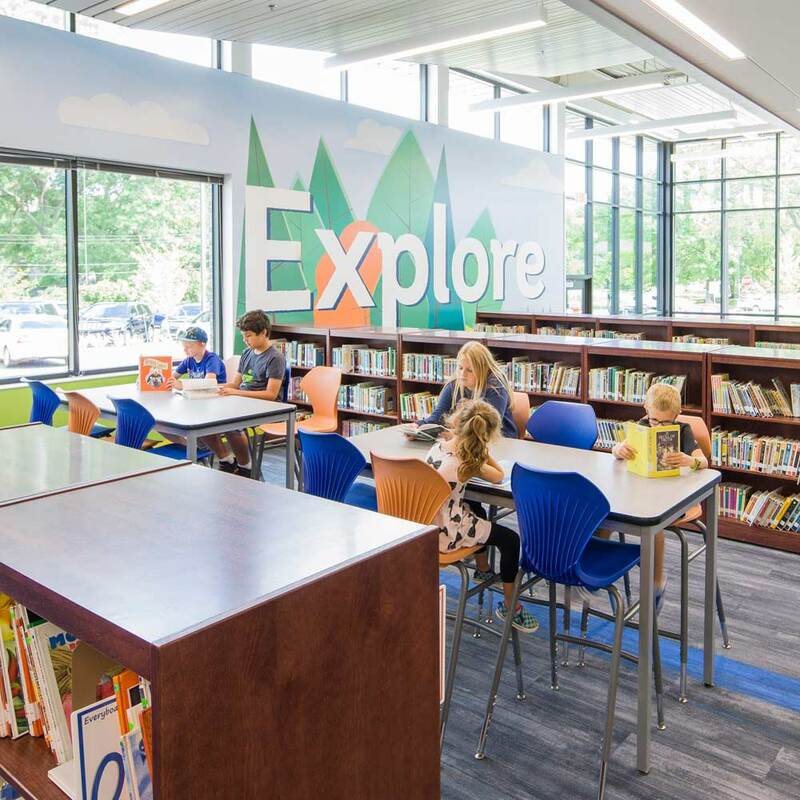 Whimsical landscapes and playful typography encourage students to open their minds to new possibilities. 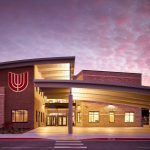 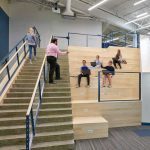 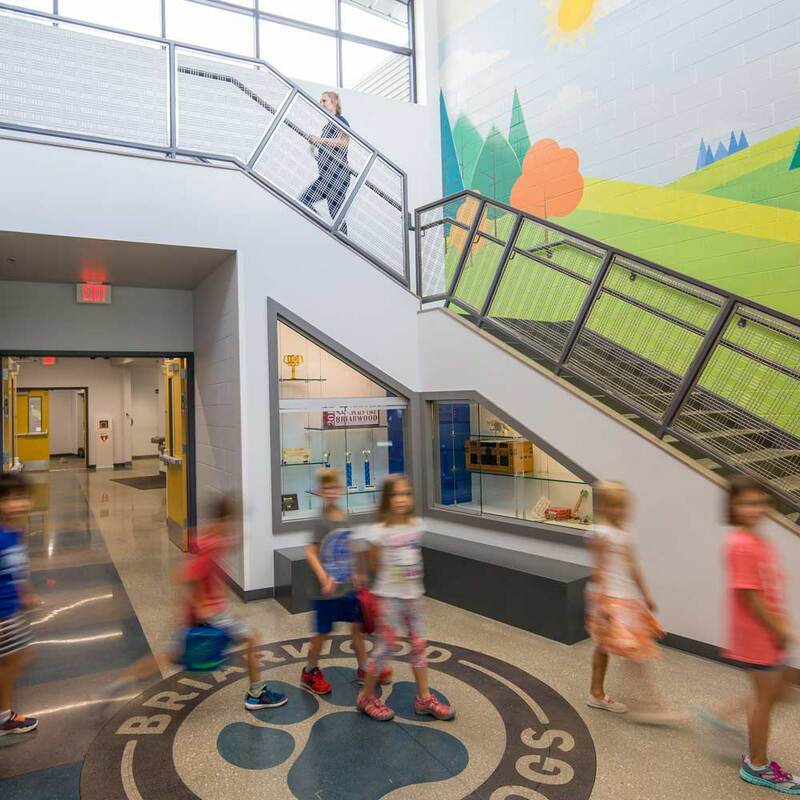 Focusing on brain-based learning, every space at this new elementary school accommodates experiential learning. 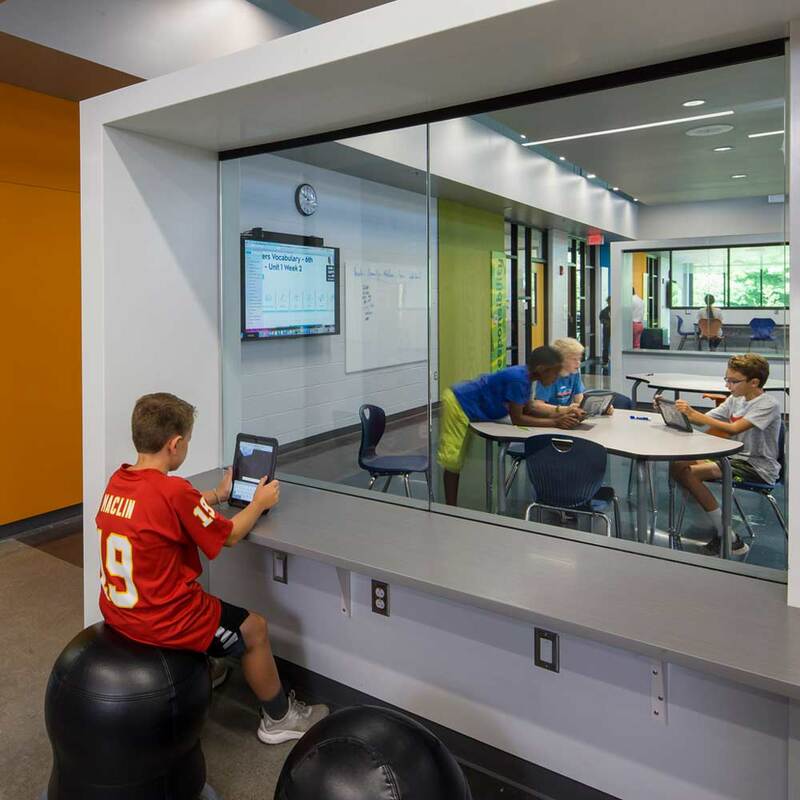 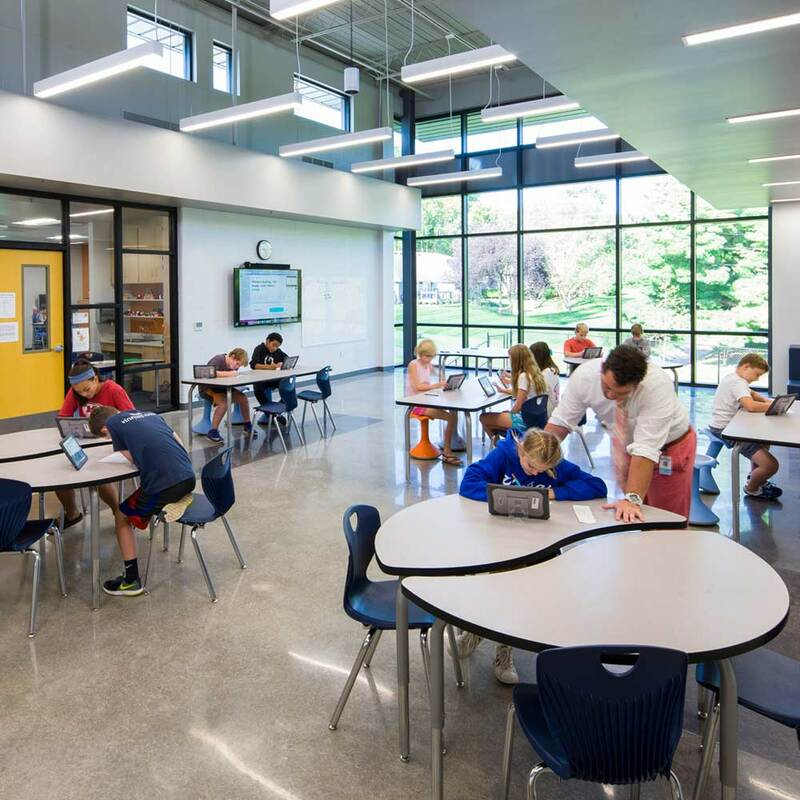 Corridors are learning spaces, with seating for large and small-group collaboration and integrated technology.